What Is Digital Analytics Software? Digital analytics software tracks user activity on an organization&apos;s website and other online channels, for the purpose of optimization. The goal might be to optimize user experience, conversion, revenue, return on paid search or other marketing endeavors. Originally and more commonly called web analytics, the field has evolved to include forms of digital interaction beyond web usage, such as social media and mobile applications. As a response to this evolution, the Web Analytics Association officially changed its name to the Digital Analytics Association in 2012. The data and reports derived from web analytics software are used to evaluate and improve the effectiveness of a company&apos;s online presence. Improvement is achieved by focusing on a specific business objective, such as attracting more visitors, increasing sales, or improving customer engagement and retention. Ultimately, the data drives actions—refining website content, adjusting website design, or reallocating marketing dollars, for example—that attempt to optimize for the desired objective. Most digital analytics tools track similar web, social and mobile metrics. Common metrics cover how many people are using a website (visits, unique visitors, pageviews), who they are (geolocation, browser or device type, new or returning, registered or not), where they came from (referring source, search keyword), and what they are doing while there (time on site, conversions, click paths, bounce rate). The information is usually presented through standard or customized dashboards that can segment data by user persona, date range, and other attributes. With the explosive growth of smartphone and tablet use, companies are increasingly interested in tracking one person&apos;s activity across multiple devices. For example, an individual might first visit a website from his or her phone and then later return to make a purchase from a desktop computer. At this point, unless the individual logs in or authenticates in some way, digital analytics tools will see two unique visitors, one of which converted. If the individual eventually makes a purchase or authenticates on the phone, some analytics products can connect the previous activity on that phone, prior to logging in, to the individual&apos;s unique ID. Another challenge is the ability to connect online and offline activity. An offline ad can influence an online purchase, or vice versa, and web analytics software by itself usually cannot identify such influence. Many tools, however, integrate with other data systems, such as customer relationship management, in order to provide a more holistic picture of customer behavior. Many analytics vendors are working on these challenges. For example, Google recently acquired Adometry, an attribution tool that uses algorithms to attempt to identify how offline activity influences online behavior. comScore uses its panel data and census network to attempt to approximate connections between smartphone and desktop activity by one individual, as well as connections between offline and online activities. Adobe is focused on attribution and predictive marketing capabilities, as well as multi-device visitor measurement. 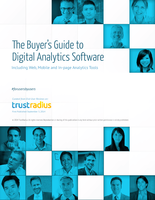 Most digital analytics products offer a similar set of basic metrics. There are some differentiating factors and capabilities to consider, however. There are a few free and freemium digital analytics tools, such as Google Analytics, Piwik, StatCounter and Flurry Analytics. Free analytics software can be quite robust and is almost always the right place to start if a company is just beginning to perform analytics. , such as start-ups, SMBs, and those whose website is not the main point of revenue generation, find that a free analytics product suits their needs for a long time. Google Analytics, used on more than 25 million websites, is the most widely adopted web analytics tool; Flurry Analytics, which tracks 500,000 mobile apps, is widely used for mobile app analytics. Some organizations use a free web analytics tool alongside a paid one, either to cover a data gap or to allow individuals outside the analytics team access to an easy-to-use product. Vendors offering analytics tools free of charge, such as Google and Flurry, earn revenue by using the data to power or monetize other products such as advertising. Often the vendor, not the customer, owns the data collected. Piwik offers a free, open-source tool where the customer hosts and owns the data; the company earns revenue by offering cloud-hosting options and professional services through Piwik Cloud and Piwik PRO. Freemium web analytics tools such as StatCounter, GoSquared and Woopra charge for deeper functionality or higher traffic volumes. Paid solutions usually offer data ownership, higher or no limits on amount of traffic or data getting tracked, and longer-term data retention. Some niche web analytics solutions such as Mixpanel and KISSmetrics specialize in a particular capability such as event-based, individual-level tracking or cohort analysis. Enterprise-level web analytics tools are often higher-priced and more customizable, and offer robust support during implementation and use. Some freemium tools, such as GoSquared and Woopra, are shifting their focus to the enterprise. Data sampling refers to the use of a randomly selected subset of available data to produce analysis and reports. Sampling can increase the speed of processing reports when working with a large volume of data. If done incorrectly, it can reduce the accuracy of reporting. Most web analytics tools do not sample data upon collection—i.e., they collect and store all of the data, and use sampling only when processing large amounts of data for reports. Most standard reports in Google Analytics are pre-processed and therefore do not need to use data sampling; however, sampling is triggered in reporting when users create complex, ad-hoc reports. Data sampling usually does not undermine web analysis in aggregate; however, if an analyst wishes to use web data to send targeted campaigns to a segment of people or perform remarketing, data sampling will not provide a complete list of users to target. Some web analytics tools offer sampled data in reporting so that users can run faster queries, but still allow the option of downloading or analyzing the full dataset if needed. Remarketing in Google Analytics uses unsampled data, for example. In some analytics tools such as Google Analytics, the data remains anonymous for privacy reasons. These tools excel in presenting data in aggregate so users can analyze website health as a whole. Other tools, such as KISSmetrics, IBM Tealeaf and Mixpanel, attach behavior to specific browsers once they can be identified with an email address or other information. Google now enables user-level tracking with Universal Analytics, a revamp of Google Analytics launched in 2014, which allows companies to attach a unique ID to visitors (though not any PII or Personally Identifiable Information). Other data systems can connect the unique ID to an email address or other such information. Individual-level data is useful for tracking, identifying and targeting a particular segment of visitors or customers (for example, sending an email to those who abandoned an item in their shopping cart or experienced a particular website error). Analytics tools vary in their real-time data capabilities. For example, Google Analytics offers a real-time dashboard based on the most commonly used reports. However, report generation outside of what&apos;s included in that dashboard can take up to 24 hours, in a worst case scenario (though the company says reports are usually processed in less than an hour). Chartbeat, GoSquared and Clicky are well known for their focus on real-time analytics. Real-time data can be useful for taking advantage of short-term events like holidays or news mentions. Historical analysis, on the other hand, is useful for understanding how changes in website design or functionality affect long-term performance. In many situations, a customer will engage with a company at multiple touch points before converting. For example, an individual might land on the website after performing a search, browse the website, then leave and return a few days later via a display ad on Facebook to finally make a purchase. Some analytics tools primarily use last-click attribution to determine which marketing effort (a display ad, email campaign, or paid search term, for example) caused a conversion. In the above example, this would be the display ad on Facebook. Last-click attribution is generally considered to be an insufficient form of measurement. Other tools offer various complex mathematical models to determine how much each touch point contributed to a purchase. Modeling can help companies establish their optimal portfolio of marketing endeavors through various channels. Digital marketers care about multiple channels of reaching customers, such as search engine results, social media, email marketing, display advertising, etc. They want to review, evaluate and possibly even execute marketing campaigns through various channels, preferably from one place. Digital analytics vendors offer integration with other marketing technologies, such as search engine marketing, social media management, email marketing, and customer relationship management, with varying levels of ease. This allows marketers to evaluate campaign effectiveness holistically, across all channels. Segmentation is the practice of analyzing how different types of visitors behave, rather than viewing all of a website&apos;s traffic in aggregate. Analysts might segment visitors based on traffic source, such as direct, search, social or email, or other factors such as geolocation, new vs. returning visitor, device or browser type, etc. Segmentation can surface insights such as which traffic acquisition channels bring the most valuable visitors, or what type of content prospects in different stages of the sales funnel are looking for. In the past, many web analytics tools required companies to pre-select how to segment traffic and data prior to implementation and data collection. Now, many products allow analysts to explore data in multiple new ways even after the data has already been collected. Mobile analytics involves tracking website visitors that use a mobile or tablet device, as well as users of a mobile application. Most web analytics tools can do the former, and many offer a software development kit for the latter. There are also some point solutions that focus on mobile analytics, such as Flurry Analytics or Localytics. 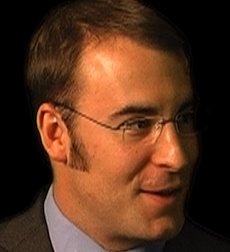 Judah Phillips — CEO and Founder, SmartCurrent; Author of "Building a Digital Analytics Organization" and "Digital Analytics Primer"
Many web analytics tools focus on clickstream analytics, or the tracking of movement from webpage to webpage. There are some point solutions, such as Crazy Egg, ClickTale, and IBM Tealeaf, which specialize in user interaction on one page. This includes things like heatmaps that show click activity on a page; mouse-tracking, which shows mouse cursor movement across the page; form analytics, which show visitor behavior in filling out forms even when not submitted; eye-tracking, which use either real people or algorithms to show eye movement across a page; and session replay, which are live recordings of an individual&apos;s website session. Some tools also offer visitor segmentation around these capabilities. Some web analytics solutions such as Google Analytics and comScore Digital Analytix include in-page analytics capabilities. Adobe offers integration with ClickTale. In-page web analytics tools are often used to identify areas of confusion, technical errors, or barriers to conversion on a webpage. For example, visitors might be clicking a spot that is not an actual link, or user attention might be focused on the least important part of the page.